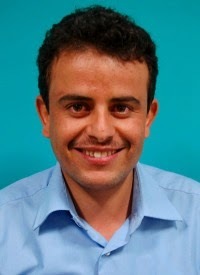 Ahmed Kulebi, a human rights defender from Yemen, shares his story. 1. What's happening with the human rights scene in Yemen right now? · Ismailia: A range of people that suffered and continue to suffer marginalization and exclusion and have been historically ill abuse and defamation and oppression throughout history. After the revolution of September 26, the law gave them the right of citizenship and freedom, but it is just a formal right. Reality dictates otherwise where members of this community are suffering from the official and social marginalization. · The Jewish: After being a subjected of persecution and prosecution, some of them having even been murdered in the past, their presence is limited in Sana'a and a small minority of them live in the district of Raida Kharif and Thaibeen in the province of Amran. 2. Can you tell us your story as a Human Rights Defender on field in Yemen? I have worked as a human rights defender for eight years at the Dar Al-Salam Organization, or DASO. During this period, I have worked hard at trying to stop conflicts in my village many times, through the cooperation of many sheikhs to mediate a truce among them, and to solve the conflict and help them to arrive at an agreement. The end result was the creation of an agreement that obliged everyone in two villages and prevented the conflict from restarting for many months. I also worked hard towards promoting a new culture in Yemen for the first time in the Middle East, to exceed the debt-to-human relationship and to improve schools, universities, and primary schools. In the process, I have strived to persuade many young people affected by the culture of extremism and terrorism to exchange this for a culture of peace. During the years 2011-2012 and in partnership with international backers, I worked towards training 360 trainees in the construction of peace, tolerance, and conflict resolution. I have also successfully secured the peaceful release of many abducted foreigners. My village has experienced tribal war for over thirty years. I lost my father when I was just seven because of this conflict. I don’t want any other child to lose his father like I did. That made me work to defend human rights. I started working within my village, especially with young people because often, it is they who are the victims. I wanted to change their mindsets by shifting them from being victims to being the solution. I tried to make them understand that conflict is a mistake our fathers made, and that we, as the succeeding generation, should not continue it. I have drawn up several campaigns to help young people to leave behind any conflict that was passed down to us, and instead, to move in a new direction. Instead of continuing to be involved in a conflict, I encourage them to put their energies into useful directions – such as studying and contributing to development of tribal societies. My life has been in danger a lot of times for the work that I have done. When I work with DASO, I feel I am making an important contribution to Yemen’s transition process and to building a more stable and peaceful society that is conducive to true democratic development, the rule of law, and promotion of human rights and social development. This work has been profiled on Al-Jazeera in print and video. My desire to resolve conflict and promote social development also motivated me to pursue my undergraduate studies at the Sana’a University’s College of Law. I have a Licentiate's Degree. After my life was in real danger, I couldn't apply to complete the LLM programme in Public International Law and Armed Conflict. I hope I will be better able to apply to do this through any programme abroad. 4. Has any segment of society given you any difficulties or challenges in your path as a Human Rights Defender? Can you tell us about it? · Violence, marginalization, humiliation, persecution and discrimination. · Religious extremism and lack of accepting opinion and the other opinion. Issues like these require the development of human rights in the country through the institutions of civil society, with the assistance and cooperation of the political, intellectual and legal elites along with the support and sponsorship of the donors, with close monitoring of the process and their supervision which will focus on promoting equal citizenship. The Constitution of the Republic of Yemen committed to the principles of human rights and their international regulations, besides the legislation and laws which in its entirety calls to alleviate the suffering and violence, discrimination and violation of these categories, but they were useless because the old community culture is still being followed. This makes the issue of emerging from the ashes difficult, and this has made these groups in the country isolated and imposed social restrictions on them, that are not religious and have no ethics at all.